What does it mean to be Scottish? Is it determined by what is written on an individual’s birth certificate or is it something more than this? Is a person who was born in Dundee, but has lived their whole life in Russia and cannot speak any English or Gaelic, Scottish or Russian? Has the image of what it means to be Scottish changed over the centuries, or is there something particular about what makes someone Scottish? These kinds of questions are central to debates surrounding how an individual’s identity is constructed. Often, cultural identity is seen to be composed of a few determining factors: race, religion, class, gender, and sexuality. These factors intertwine with each other and therefore it is often hard to determine which is dominant. National identity is generally seen to be constructed by a shared history, language, culture, and ethnic origin. The stereotypical image of a Scotsman is of one who wears a kilt, has ginger hair, eats haggis, drinks a lot of whisky, and plays bagpipes. This postcard image (one that is perpetuated by television programmes like The Simpsons) is clearly at odds with how the majority of people living in Scotland today view themselves. However the image (like most stereotypes) might hold some truths. This resource will encourage pupils and educators to examine how Scottishness was presented to the viewing public during the early twentieth century through documentary film. Each film portrays what it means to be Scottish in a different light and will spark debate surrounding contemporary perceptions of national identity. Encourage pupils to discuss what they think people from outside of Scotland see Scottishness as being and compare this to what they think Scottishness means. Keep a record of these thoughts and then compare them after viewing each film. 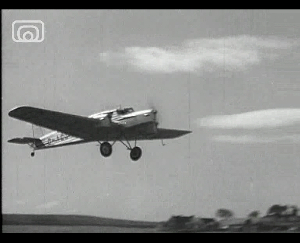 'The Face of Scotland' directed by Basil Wright in 1938, this short documentary was part of a collection of films made for the 1938 Empire Exhibition in Glasgow under the supervision of John Grierson (Wikipedia. The film presents a very positive depiction of Scottish life during the late 19th and early 20th centuries, ranging from discussions about how the land has defined Scottish identity to how a football match is symbolic of a new, vibrant and strong national identity and pride. The film begins by presenting establishing shots of the Scottish countryside and of Hadrian’s Wall, whilst the commentary conveys a sense of nostalgia and pride. In what ways does the music create the tone of the film and how does this match up with the images presented on the screen? Compare how the Scottish Tourist Board (Visit Scotland presents rural Scotland with this film. Has much changed? Does it demonstrate something essentially Scottish? Create a website or poster that depicts what you interpret to be the ‘real’ Scotland. Wright seems to argue that Scottish identity stems from the countryside, and that the land has created the culture and traditions of Scotland. This relationship between man and land helped to create an image of Scottish identity as rugged and hard working, an image that continues to the present day. He also argues that religion has played a fundamental role in Scottish society. Are there still communities within Scotland that embrace Calvinism and live by its principles? How does religion play a part in creating a sense of self? Ask pupils to research Calvinism in Scotland and John Knox, and examine how the main traits of this relate to contemporary Scottish society and a sense of identity. Scotland played a pivotal role during the Industrial Revolution and this era changed the face of Scottish society and the make-up of its urban areas. Steel, coal, water, and iron were the core resources that Scotland could offer the world and international trade. People were drawn away from rural areas to the cities with the promise of work and wealth; however Wright argues that the core Scottish identity did not change. The hard work ethic that was integral to the crofters was easily transferred to the industrial factories and shipyards, the equality that was emerging within the Scottish education system was present in the surroundings of the pub, and those who fought in World War I demonstrated the same sense of determination as those playing football. Examine the editing in the film from 8:04 in the film. What kind of mood is this trying to create? How does it differ to the scenes of the countryside early on in the film? The film cuts between scenes of urbanisation and decaying rural areas. Discuss the effect(s) of this on the audience. 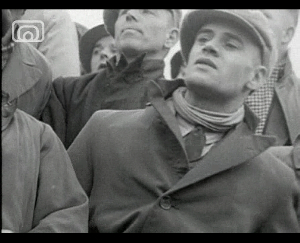 Watch the footage from the football match (from 11:51) and write down the emotive words that the narrator uses. What do these words suggest about Scottishness? How is this different to other national identities? Who is not represented in Wright’s film? 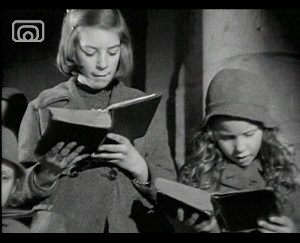 If this type of film was made again today list which 'faces' of Scotland it would show. 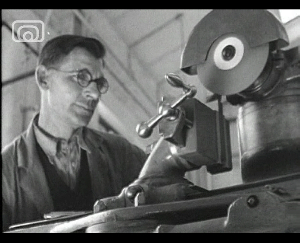 The film 'Wealth of a Nation' was also part of the collection of films made for the 1938 Empire Exhibition and was directed by Donald Alexander. 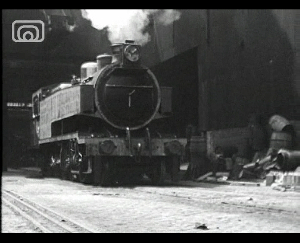 However it depicts an alternative view of Scotland to Wright’s film. Where Wright’s focused on the development of a Scottish ‘character’ and how this has been shaped by the environment, this film focuses on the impact industry and economics has on identity and also on Scotland’s future. 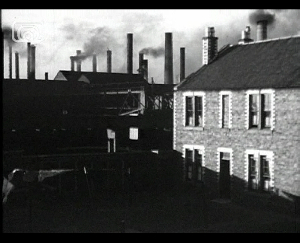 During the early twentieth century, Scotland’s urban economy was centred on three core industries – coal, steel, and iron. These industries enabled some of the Scottish labour force to earn a decent living wage, one where they could provide for their families. During this time many people left the rural environment and sought their fortune within cities like Glasgow. Through the language used by the narrator, what kind of tone is being established? Throughout the film pick out phrases that present a positive viewpoint and compare these to phrases that have more negative connotations. 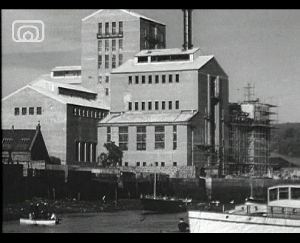 Donald Alexander’s film has resonance for the economic climate in Scotland during the 1980s and also during the early 21st Century. 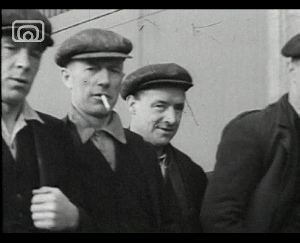 The film creates a sense that the Depression of 1930 was out of Scotland’s control. 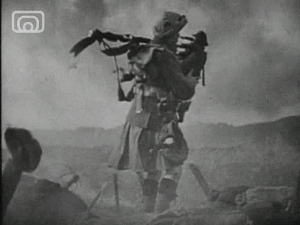 The film suggests forces outside of Scotland are to blame for the effects of the Depression. Who are these forces? Do you agree? As the industries declined who were seen as scapegoats? Does this have any resonance for today? Through research on the Internet and library, create a photo montage of how industries and people in your area changed during the Twentieth Century. After the Depression, Scotland invested heavily in the creation of roads, train lines, and air travel to link rural areas with urban areas, which in turn helped to increase trade. The image that is presented in the film is one of optimism and hope. 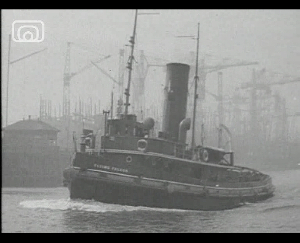 Compare those individuals who appear in the footage relating to planes to those on the shipyards. The narration makes it sound as if everyone can afford air travel (referring to crofters), but this might not be the case. Therefore who is being omitted from this ‘new’ Scotland? How do images help to reinforce meaning in film? Find out what “anchorage” means and try to find examples of it within the film, but also whenever you watch something. Create a display of the effects of anchorage. What do the films say to us? What are the people like in the films? How do we get a sense of their identity through the way they dress, the way they talk, their expressions and actions? What do you notice about the different types of camera shots used in the films? How does lighting play a role in creating mood and tone in the films? How do the people in films behave in front of the cameras? Does the dialogue used sound realistic? Both films have narrators. Does this give the films a sense of authority? Should we question everything that we are told in the films? Who do you think were the intended audience of these films? Based on the two films, create a short documentary film relating to what you regard as Scottishness. Examine one of the films closely, looking at what kind of camera shots are used and replicate this in your group giving it a contemporary twist. Think about how sound and music is used to convey meaning in the films and update this in your film. Will you use a voiceover or will you have a presenter? Ensure that you convey both positive and negative aspects of Scottish identity.